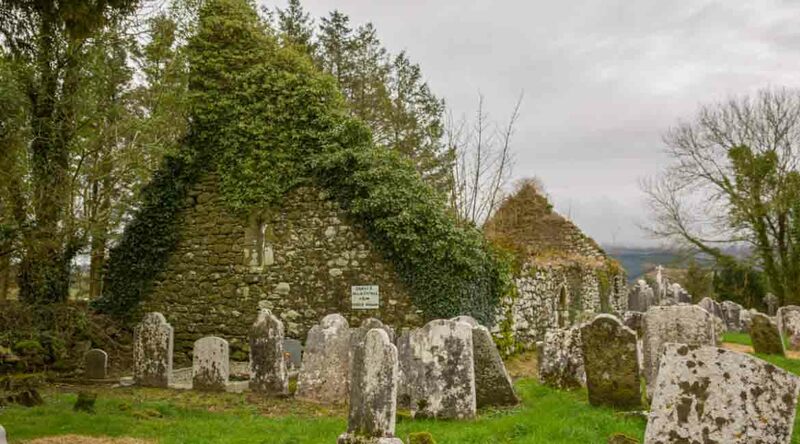 Knockboy medieval church is a fine example of a medieval parish church, and it is located in a rural setting in County Waterford. 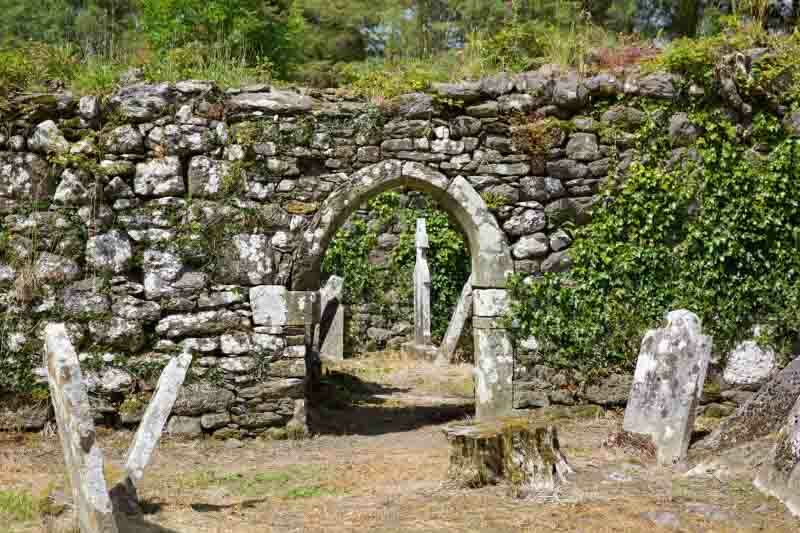 The church is highly significant, as it contains a number of important ogham stones. 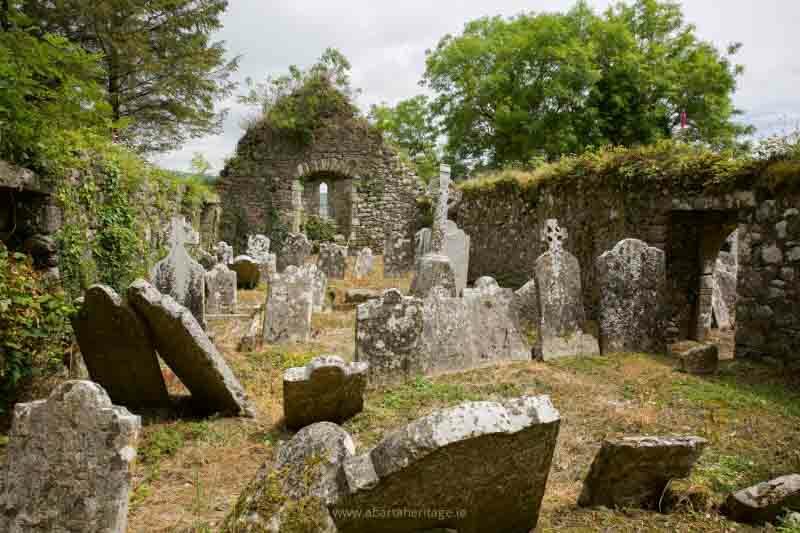 The medieval church itself requires ongoing conservation work to help to stabilise and protect the structure. The Knockboy Church Conservation Group primarily consist of the Knockboy Graveyard Committee, a local voluntary organisation that was set up in the early 1990s. 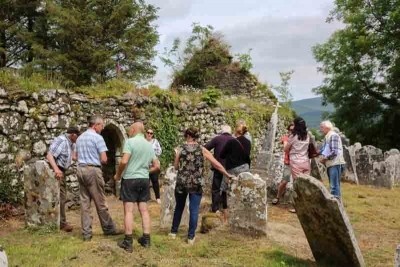 This group consists of local landowners and residents, and a number of other people from the community, many of whom have relatives and ancestors interred within the graveyard that surrounds the church. The group are supported by Dr Nora White (the principal investigator on the Ogham in 3D Project). To date the group have worked hard and with support from Waterford County Council, they have resurfaced the old boreen that leads to the graveyard and carried out a graveyard survey and historical analysis, with all of the information detailed on a large panel at the entrance to the site. With support from the Heritage Council, the group have also had an Archaeological Assessment of the site carried out by archaeologist Dave Pollock and a Conservation Assessment of the site to identify priorities for the conservation of the church. For more information and for the latest news please follow the group on Facebook. 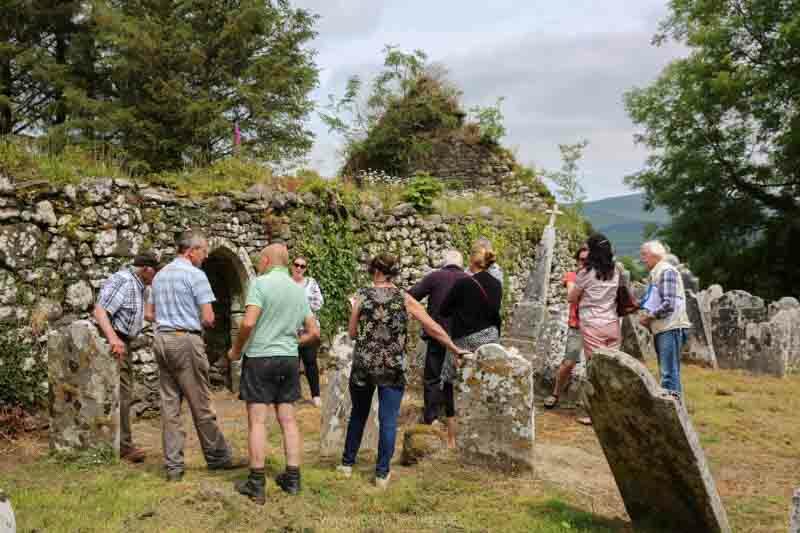 Members of Knockboy Church Conservation Group meeting with Waterford County Council and Conservation Architect Ivor McElveen to discuss conservation methods for the church. Please Help to Share the Story of Knockboy, Choose Your Platform!